For a while now, smartphone innovation has been pretty stagnant. We’ve seen a small change here or a slight modification there. As much as we love our smartphones the way they are, it’s certainly time for a shake-up in the industry. Over the past two years, Motorola has been working on a way to transform the smartphone experience. 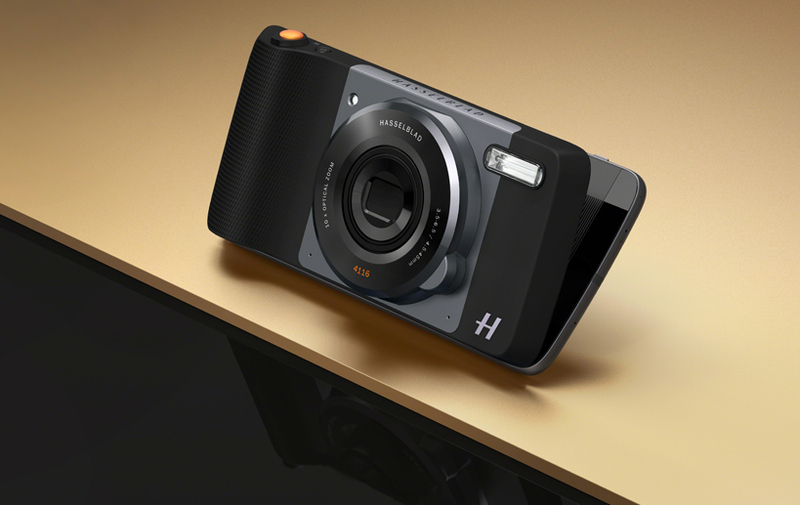 Last month, we revealed this new technology with the introduction of Moto Z with Moto Mods. So what went into making this new technology? Read on to learn more about the engineering behind this latest innovation. At first, the challenge of creating the Moto Z seemed daunting: build an all-new smartphone that was thinner and lighter than any we’ve ever made. And most importantly, we had to do this without sacrificing battery life, durability, and of course, not bulking-up once a Moto Mod was attached. We had to completely rethink the inside of the smartphone to make sure it was as thin and light as possible. We quickly realized, however, that between the size and processor, overheating would be a potential issue. So, we developed a liquid cooling system — a “heat pipe solution” if you will — to optimize thermal evenness by distributing heat over a broader surface, thus enabling the processor to run faster and longer without overheating. Because space within an ultra-thin phone like the Moto Z is at a premium, we also revolutionized the device’s system of four 4G LTE internal antennas, reorganizing internal components while also redesigning the antennas and positioning them in a way that would avoid interfering with the phone’s signal while a Moto Mod was attached. Picking the right battery for the Moto Z was crucial. The biggest challenge here was creating a battery that would fit within a 5.2mm space while balancing energy density and battery rate of charging. That said, our engineers have not only created a high density battery that maintains minimum turbocharging, but also one that is only 3.3mm thin. In addition to that, we also made sure other components on the phone were not only paper-thin but energy efficient, such as the Moto Z’s AMOLED display: .8mm thinner than most LCD displays and 10% more battery efficient. We then moved on to the housing — aware that “bendgate” would be a potential issue with such a thin device, we utilized a unique, aircraft-grade stainless steel casing that’s actually 85 percent stronger than our competitors, while keeping the device as light as possible. The backplate is also made from the same, magnetic-grade steel, which not only provides the magnets in the Moto Mods a place to attach simply and efficiently, but also gives the device a sleek and modern look. Up until now, your smartphone experience has been limited by your phone’s hardware and software capabilities. When it came to developing Moto Mods, we set out to remove those barriers by creating a phone that changes as your needs change, and does so in a truly seamless way. For example, we wanted to make sure the process for swapping out Moto Mods was as fluid and natural as possible. Our solution: very strong magnets and an automatic connection process that doesn’t require additional steps or rebooting. We also knew that partnering with other companies with the expertise and know-how was an essential part of making Moto Z and Moto Mods a true innovation. By collaborating with fellow tech innovators, like JBL and Incipio, and high-end designers at kate spade new york and TUMI, we had an unique opportunity to learn quite a bit about each other’s offerings to the overall device. Once they began integrating with our teams, the entire look and feel of Moto Mods evolved into something new and exciting that neither team could have developed on their own. After the initial Moto Mods ideas were in development, our engineers set their sights on creating a platform for others to bring their ideas to life. Moto Mods open a world of possibilities. They break down the innate barriers that come with smartphone hardware and software. We believe they are the next leap in mobile innovation. We’re excited to be at the forefront of this new frontier, but we know we can’t do it alone. We need to provide tools that enable others’ ideas to be prototyped and brought to market as well. With open architecture and access to the right resources, our new Moto Mods Development Program provides a platform for innovation in the mobile space. 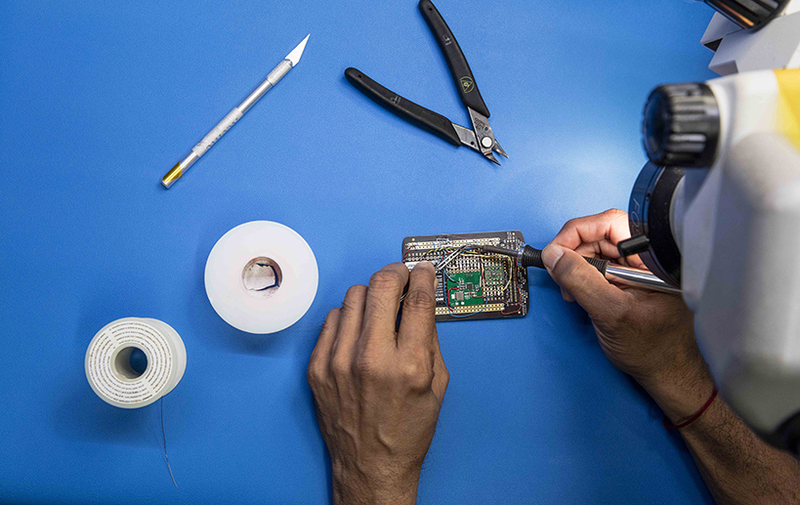 To lower the technical bar of entry, we’re sharing the same hardware and software development kit we use internally at Motorola, allowing everyone from small developers to established enterprises the opportunity to create the next generation of Moto Mods. We’re calling it the Moto Mods Development Kit (MDK for short), and it will be available to people around the world to contribute to the ecosystem and redefine the future of mobile. As a result, consumers will have access to completely new experiences through their smartphone. The MDK is now available in the U.S. Check out developer.motorola.com for more info about the program.